Copyright 2010 Rader Collision Center. All Rights Reserved. Rader Collision Center was conceived out of Dan Rader’s love for working on racecars and hot rods. Initially a hobby, Dan began working on cars out of his garage and as time went on he decided to make a full time career out of his passion. It is because of Dan’s passion that Rader Collision Center has become one of the premier auto body and collision repair centers in central Ohio. 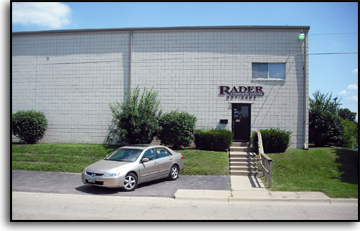 At Rader Collision Center we strive to offer the utmost quality repairs and customer service. It is our goal to restore every vehicle to pre-loss condition in a timely manner and at an affordable price. In the last 3-5 years Rader Collision has become more focused on using computerized equipment to provide higher quality repairs. Along with this, Rader Collision has also made changes to become more environmentally aware. Since June of 2010, we have been training our employees techniques to minimize waste and have made them more aware of the environmental impacts associated with our work. In June 2011 we installed a new waterborne paint system provided by PPG. Not only is our new system safer for the environment, it also provides improved color matching and coverage. To learn more about our new system click here.